If lentils aren't a regular part of your diet, you're missing out on a food that is healthy in more ways than one. Affordable and easy to prepare, this simple legume can add complexity to a boring diet. It's easy to get stuck in a rut when it comes to your daily diet plan. When you need a carbohydrate, do you reflexively reach for brown rice, sweet potatoes, or oatmeal? 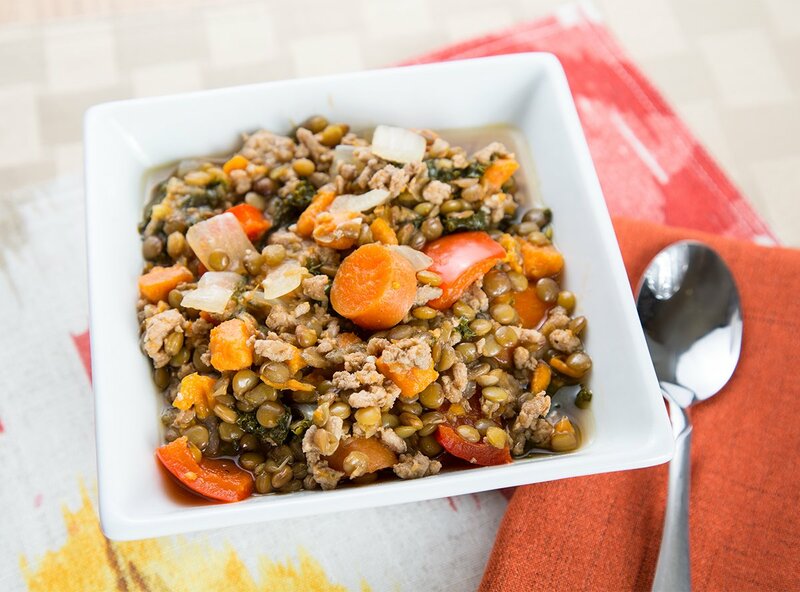 Maybe it's time to broaden your diet by adding the versatile, nutritious, and delicious lentil to the mix. Lentils are part of the legume family. Considered a great source of carbohydrates, they also provide an excellent dose of protein. This makes them an all-star food if you're looking for an alternative to a steady diet of animal-based protein, or if you follow a vegetarian or vegan diet. This often-overlooked legume is an excellent source of dietary fiber, too, so it may help support heart health. And lentils are rich in iron, a vital nutrient for anyone leading an active lifestyle. 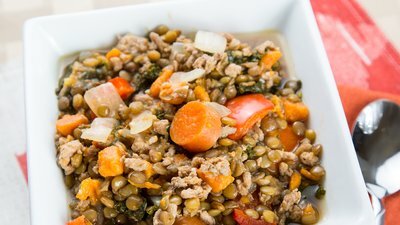 One reason many people leave lentils off their plate is because they simply don't know how to prepare them. That's all about to change. These five recipes will have you citing lentils as your new favorite source of carbohydrate. If you love Indian food, you'll love this spicy lentil curry. It's relatively low in fat and provides a hearty dose of complex carbohydrates. Serve it alongside a chicken breast for added protein. This stew makes use of ground turkey to add extra protein, giving you well-balanced nutrition that's perfect for any post-workout meal. You'll also get a hearty dose of antioxidants thanks to the addition of mustard greens. This cucumber lentil salad is a terrific lunch when you're on the go and don't have time to reheat a lunch in the office. Served cold, it's a delicious way to get your carbohydrates and protein in while giving you the energy you need to get through the rest of your day. This recipe is perfect for those chilly winter nights when you want a hearty meal but don't want to spend hours cooking. Simply toss all the ingredients together in a slow cooker prior to leaving in the morning. It'll be ready when you arrive home. Craving a granola bar but don't want the processed carbs that comes with it? These lentil bars can be an excellent substitute. Rich in protein, healthy carbohydrates, and the right fats to fuel your day, they're an excellent option for those especially busy days when you need an energy boost.